Adult Forum meets in the library, from 9:15-10:15. We dig deep with an open spirit into questions that seem important to the life of faith. The childcare center is open downstairs during this time. Grab a cup of coffee on the way in, if you like, and join us! March 17 – we finish up our theme of monasticism with a conversation about Thomas Merton. March 24 – led by Dan Guhr: ‘Rarely has the adage “we live in interesting times” applied as well as it does today. The ordering concepts and forces of a post-World War II global landscape – already under pressure – are now being destroyed from within by the leaders of the United States, Russia, as well as China. In this process, the United States as abandoned its once dominant role as force for democracy, global order, and capitalism. In its stead has moved confrontation with foes and allies alike, reverence for brutal dictatorships, and some of the least sound economic trade policies since the Soviet Union gave up its five year plans. 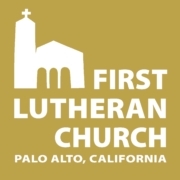 While the aforementioned might sound abstract if not ephemeral, the impact on every member of First Lutheran is real – whether this pertains to members assisting asylum seekers, traveling abroad as an American, or working at a company that faces significant business disruption based on new policies. This adult forum centers on reflecting on these dynamics, and what perspectives and actions a Lutheran can take. March 31, April 7 – Don Knuth will lead a bible study based on his book, 3:16. 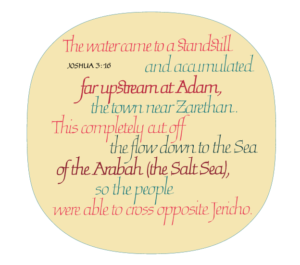 On March 31 he will discuss the book of Joshua and on April 7, Philippians. April 14 – On Palm Sunday and during Holy Week, we hear about acts of injustice and violence against Jesus which are appalling and yet sadly recognizable in our own world. We are joined by guest Hal Fletcher, who is Catholic, and Pastor Bernt for conversation on faith, morality, reason and purpose in today’s world. April 21 – no forum, Easter Sunday. April 28 and after: we begin a multi-week bible study on the Psalms, led by Don Knuth, Mark Bertelsen, Holly Pearson and Pastor Bernt.